British philosopher Nick Bostrom says we may be living in a Matrix-like digital imprisonment designed by Aliens. More and more people are convinced that they live within an artificial world powered by Artificial Intelligence and highly-powered computers, like in The Matrix. Even Elon Musk has said that there is only a “one in billions” chance that we’re not living in a computer simulation. 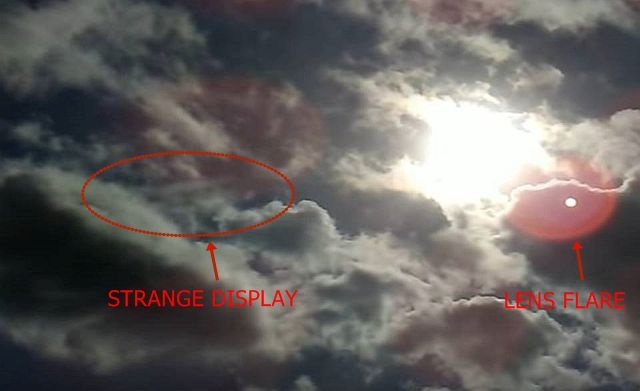 I have been hearing people say they have seen weird things happen in the skies. Now, if you see the following video captured by KatMartin on January 12, 2017 it shows, besides the Sun which is flashing and pulsing strangely, a very weird display of clouds in the sky (Starts at the 1.06 mark in the video) and you might wonder whether what we see is not real, but indeed a simulated reality. We have multiple experiments done controlling light. NASA completed a proof of concept small scale tracker beam test in space. I also seen a TV show where scientists explained the fired a lazer and stopped it then let it continue again. They showed the device and how it worked in great detail and explained on day this could be used for communications. Which to me is plausible after all the ISS WIFI is run on lazer beams back to earth.